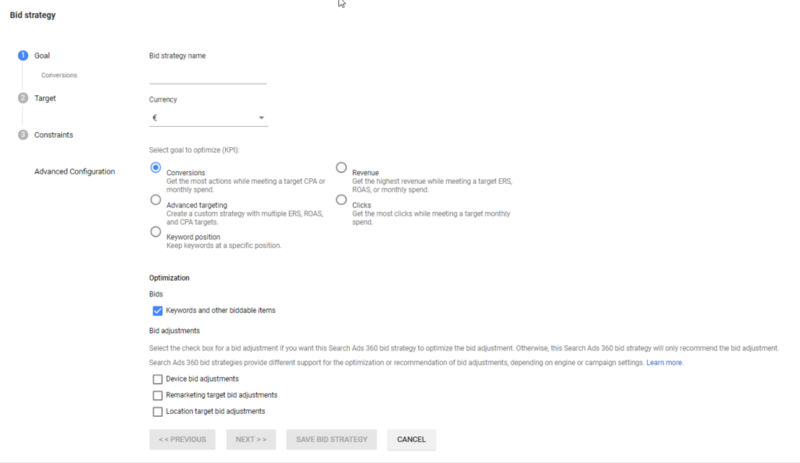 Home Insights What bidding strategies are available in Search Ads 360? Search Ads 360 (SA360) is Google’s advanced search management tool and is part of the premium Google Marketing Platform (GMP) suite. 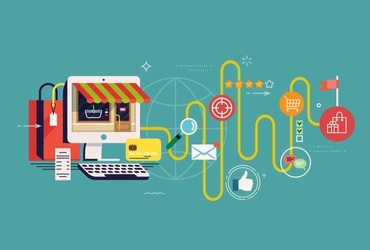 SA360 comes with a host of advanced features that can help brands get the most out of their PPC campaigns, which you can read more about here. There are considerable differences between the bidding strategies available on Google Ads (formerly AdWords), and the bidding strategies available on Search Ads 360 (SA360), with SA360 offering greater scope for customisation, as well as the ability to execute strategies at a campaign level, across all search engines. In this blog, we will run through the bidding strategies available in SA360, as well as how to set up strategies for your campaigns. There are two main types of bid strategies available in SA360: metric-focused strategies, and budget-focused strategies. 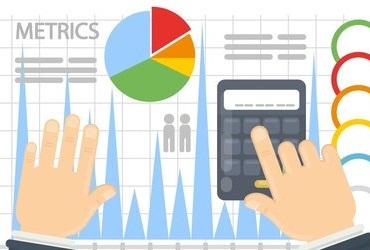 The primary goal for metric-focused strategies is to maximise conversions within a target ROAS or CPA, while budget-focused strategies are aimed at ensuring a strict budget amount is spent, while maximising either conversions or revenue. There are lots of options for customisation in both types of strategies, with further goals and KPIs able to be set up. 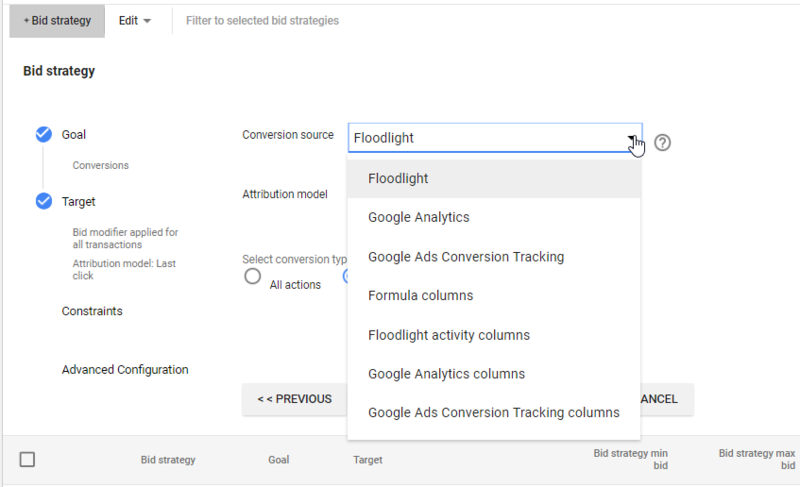 In Search Ads 360, we are able to set up campaign-level attribution models and conversion goals; in Google Ads, these can only be set up at account level and cannot be edited within an individual bid strategy. Google Ads. Conversions can be imported from Google Ads – however this isn’t ideal if you will be managing ads on other search engines such as Bing. Search Ads 360 uses machine learning to find the optimal bid adjustment to hit your campaign’s KPIs. Smart Bidding uses historical campaign data to determine whether a bid should be increased or decreased, depending on the situation – such as the device used to search, the keyword, or whether the person has visited your site before. Advanced targeting – a custom combination of ROAS and CPA targets. If your main KPI is lead acquisition, CPA would be a good goal, whereas optimising for ROAS is ideal if your KPI is increased revenue. For brands where exposure is a key priority, ad position is a useful strategy – although it’s worth noting that Google has confirmed they are retiring average keyword position this year, so it is likely that we will see this option either be updated or removed. Audience bid adjustments: adjusts bids depending on the audience. Audiences in SA360 can be added from Google Ads, Google Analytics and Google Analytics 360 (GA 360), and Campaign Manager. Typical audiences we would look to leverage in our campaigns include remarketing lists and customer match lists. Where appropriate, we may also layer audiences based on session quality, conversion probability or funnel position from GA360, or cross-channel audiences from our other marketing activity. Optimising bids for keywords and shopping product groups means higher bids on keywords that are more likely to convert, and lower bids on keywords less likely to convert. You can select, one, all, or none of these. If you select none, SA360 will make recommendations but won’t apply them to the campaigns – they will need to be applied manually. This differs to Google Ads, where bidding automatically takes device, location and audience into account when making bid adjustments. Another key difference here between Google Ads and Search Ads 360 is that Google Ads bids are calculated at auction time, so the bid is set for each individual search, whereas SA 360 bidding updates a max CPC bid in Google Ads up to four times a day – bid adjustments still need to be set for device, location and audiences. After the campaign goal has been set, you need to define whether the campaign KPI target will be ROAS, or CPA. 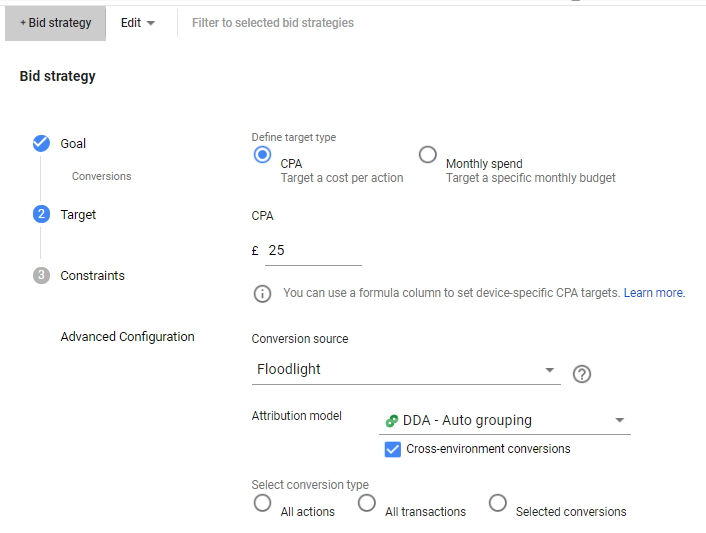 You’ll also need to set which attribution model SA 360 should use to inform bidding decisions, and whether or not to include cross-environment conversions (conversions that have started their journey on one device, and ended on another – for example, clicked a mobile ad before converting on a desktop). Last click attribution is the default model in SA360, and you will need to add other models to the advertiser in order to use them; you can add up to five models for Floodlight and Google Analytics conversions, but are limited to the pre-set models within the Google Ads platform if you are using GA as your conversion source (as well as being limited to what is currently set as the model in Google Ads). There is more information on the types of attribution models you are able to add to Search Ads 360 here. It generally takes around 24 hours after being added to the advertiser for it to be available in the platform. If you opt to use cross-environment conversions, its important to keep an eye on what is being counted as cross-environment. This is because SA360 is unable to observe cross-device interactions on sites which use an iframe or image tag rather than a global site tag and will automatically scale these conversions using machine learning and historical data. This may mean that from time to time conversions are over-estimated, which could impact the performance of the bid strategy. Selecting low conversion rate keywords to still receive traffic or clicks. If setting constraints, it’s important to avoid setting limits too tightly as it can harm the bid strategy performance. For example, having a maximum bid limit set too low could prevent the strategy from entering auctions which are most likely to result in conversions. Constraints can come in handy in the first few days of a new bid strategy, particularly if there is little historical data, to limit the amount a bid strategy can spend while still in the learning phase. As with any bid strategy, it’s crucial to judge performance on the KPI (conversions) rather than changes in CPC or clicks. SA360 will alert you if this constraints are harming performance, and recommend a new setting to improve efficiency. You are now able to set budget-focused bid strategies in Search Ads 360 within the budget management tool. It’s a new SA360 feature which allows advertisers to monitor and forecast both spend and performance over a given date range, and is set to fully replace the ‘target monthly spend’ options in the regular bid strategies as of April 2019. This feature means you can now set up budget groups within an advertiser and enable bid automation, ensuring that the assigned budget is spent exactly within a given time period. 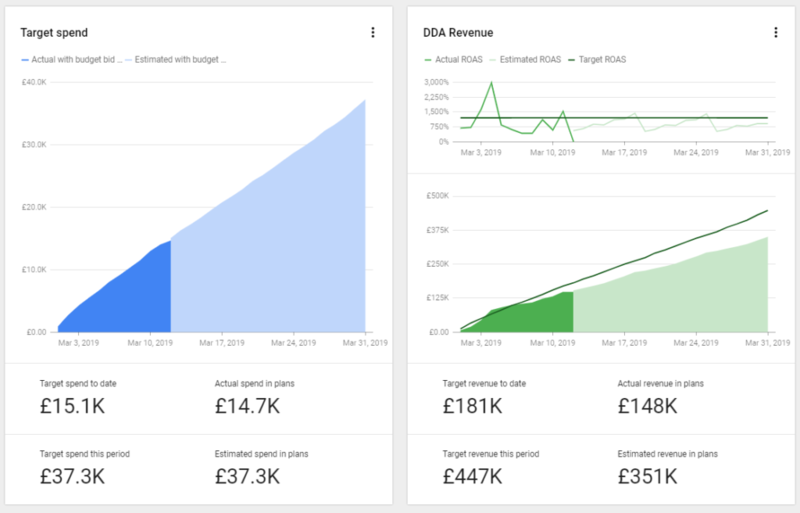 While spend is the primary focus, you can also select whether campaigns should be optimised for conversions or revenue, as well as assign a secondary ROAS or CPA target if required. Device, location and audience bid adjustments can be optimised in budget-focused strategies, too. 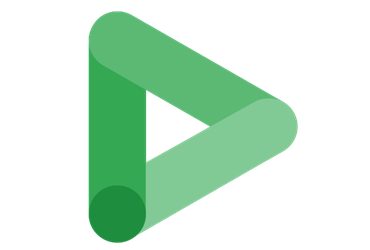 A useful feature of budget bid strategies is the ability to programme custom budget pacing, meaning you can instruct Search Ads 360 to spend more on certain days or weeks, and less on others. An example of when this would be useful is to instructing a higher spend on a day that you know an online sale is ending. When setting up a budget-focused bid strategy in SA360, you are required to set minimum and maximum bids. Search Ads 360 will recommend limits that should enable the strategy to hit its goals, however it’s up to you if you stick with these recommendations. Once a budget-focused strategy has been set up, you are able to monitor and forecast performance within the budget management interface. A key advantage of using Search Ads 360 over any other bidding platform is the ability to access and manage all ads in one place. This makes it ideal for clients with big or complex ad accounts, as it increases efficiency and reduces the chance of any search engine or campaign being missed. The ability to customise conversion goals and attribution models across campaigns means we can create optimal conditions for achieving KPIs on a campaign by campaign basis, which works towards the overall goal or increasing ROI. 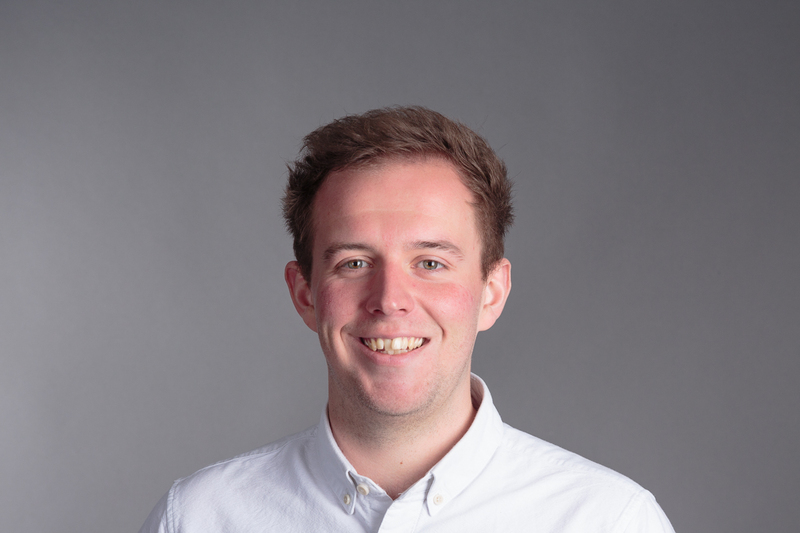 Our Assistant Head of Paid Media, Ryan Jones, is running a webinar on how to leverage bidding in Search Ads 360 to boost your ROI on Thursday 28th March. You can register for free here if you’d like to learn more. Some examples of how to put this into action.